Children can sharpen their science skills, explore a favorite topic or new interests – and most importantly have fun while they learn! With professionally structured programs for children entering 1st through 9th grade in the fall, our summer camps are just the right mix of fun and serious science. Our Discovery Camps are five days in length and offer the flexibility to choose a half day or full day camp experience. Camps include snacks, make-and-take projects, and activity extensions so that children can continue their learning at home. Lunch is not provided, however snacks and a water bottle are included. All activities are fully supervised by our Education staff with activities, guest speakers and time for “free play” built into all schedules. NEW for 2019! Two-Day Mini Camps for grades 7 – 9. These compact camps focus on STEM career preparedness and will give students an in-depth look at subjects ranging from surgery to robotics. Be sure to check out our Camp Policies before you complete registration! *Please note: your Whitaker Center membership must be active as of the start date of the camp you're purchasing, not the time of purchase of the camp. Missed your chance to sign up for a specific camp before it sold out? Fill out this Google form to be added to our waitlist. Designed for children going into First – Ninth Grade in the fall of 2019. Campers are grouped by grade. While the topics of each week are the same for both age groups, content and activities are tweaked so they are appropriate for each group. Missed your chance to sign up for a specific camp before it sold out? Fill out this Google form to be added to our waitlist. Grade 1-3, AM Camp: “Bon Appetit” SOLD OUT! Back by popular demand, our Bon Appetit camp will have students exploring the science of cooking! They will learn about the reactions that occur when recipes are made in the kitchen. Students will also try their hand in the kitchen making some ‘science’ experiments delicious enough for sampling! Students won’t stop moving during the Science of Motion! We will explore flight, buoyancy, friction, and more through the creation of boats, airplanes, cars, and egg drops which were some 2018 camp favorites. This STEM camp focuses on how different elements of design can affect how things move. Grade 1-3, AM Camp: “Coding 101” SOLD OUT! To prepare students for the 21st century world, this camp gives kids the opportunity to explore coding. Kids will work with robots and apps such as Sphero, Swift Playground, Code-a-pillar, and more to learn the basics of this essential skill. Student interest in this camp will take flight as they create their own kites, planes, rockets, and other flying machines. 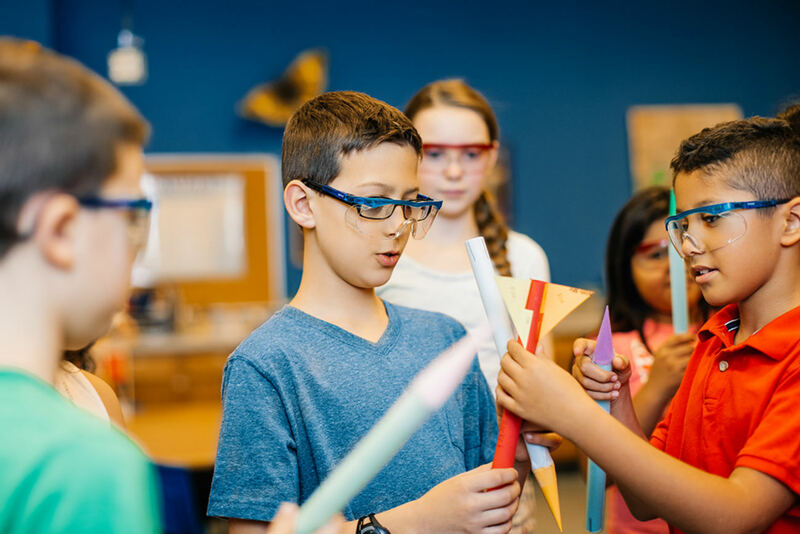 These hands-on activities won’t be a drag, as campers will enjoy learning through the engineering design process to make their own successful flying contraptions. Grade 1-3, AM Camp: “Space Camp” SOLD OUT! Grade 1-3, PM Camp: “A Week at the Fair” SOLD OUT! Grade 4-6, AM Camp: “A Week at the Fair” SOLD OUT! Houston, we're having a space camp! Students will get the opportunity to explore the science of space during this week-long STEM camp. Topics will include rockets, stars, planets, NASA’s current ambitious projects, and even the celebration of the 50th anniversary of America’s landing on the moon! 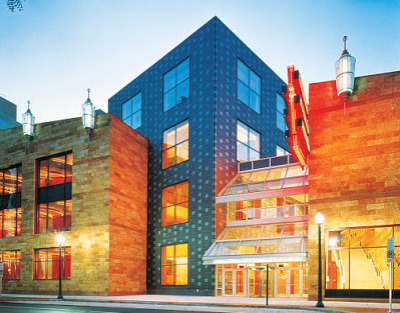 No height limit required to attend Whitaker Center! Students will explore the science of amusement park rides and arcade games through this hands-on STEM camp. Kids will have the opportunity to prototype their own roller coasters, arcade games, and other creative amusements. Students will sing, dance, and perform their way through the week as they learn Roald Dahl's WILLY WONKA Jr. musical and perform it on Friday for an audience of their family, friends, and Whitaker Center staff! Grade 1-3, AM Camp: “The Mad Chemist” SOLD OUT! Grade 4-6, AM Camp: “Let’s Build!” SOLD OUT! Back by popular demand, this hands-on STEM camp will allow students to get the lab messy and create chemical reactions in the lab! Campers will also have the opportunity to design, create, and erupt a volcano. What does it take to design and construct a built space? Students will discover this by working through the collaborative engineering design process to create different structures using a wide variety of materials. They will learn about the history of building castles, skyscrapers, and other famous structures through making their own. Students will sing, dance, and perform their way through the week as they learn DISNEY'S FROZEN Jr. musical and perform it on Friday for an audience of their family, friends, and Whitaker Center staff! We all love a good story! Stories can get even better when integrated with STEM hands-on problem solving. Campers will listen to or read books, and then they will get the chance design their own ending by creating solutions to characters’ problems using STEM. How can we design to make a better world? In this weeklong camp, kids will explore this question and create a solution that helps the community. This hands-on STEM camp will show students the infinite possibilities that creativity, communication, collaboration, and a bit of grit can bring to their world. Discovery Camp Scholarship Funds are available for children in grades 1-6. Please visit our Camps Policies page for more information on applying for Scholarship Funds. Designed for children going into Seventh – Ninth Grade in the fall of 2019. No prior experience in any of the subject matter covered in these camps is required, however, campers should have an established interest in the topics covered. Campers should bring lunch. Snacks and a water bottle will be provided. Be sure to check out our Camp Policies before you complete registration! Students will investigate human anatomy and discuss the various components of surgery. Campers will have the opportunity to explore resources and tools that surgeons use, and they will get the chance to ask questions during a gastric sleeve surgical procedure. A facilitator will guide a discussion with operating room staff, demonstrate surgical instruments used in the operation, and explain factors that cause disease and contribute to conditions that place patients on the operating table. Please note that this camp contains graphic content due to the live surgery on day 2. Ever wonder what it takes to solve a crime? Participants will learn how forensic scientists use evidence to unravel the facts at crime scenes, and they will have the opportunity to solve Whitaker Center mysteries on their own! Please note that this camp will discuss graphic content. During this 2-day camp, students will build their own robot using an UBTECH Jimu Robot Meebot kit. The cost of the robot is included in the registration fee and participants will take home a fully functioning robot at the conclusion of camp. Campers will also need a device at home with the capability to download the compatible app. Once they are built, students will work on programming their Meebots to complete different tasks. Please note this camp is intended for campers that have an interest in the process of building and coding a robot. Some patience will be required! This camp is for the biology lovers! The focus will be on exploring the similarities and differences between invertebrates and vertebrates. We will also investigate and dissect mammals and amphibians, and discuss their comparative anatomy. No prior dissection experience or education necessary, but please note that dissection is a focus of the camp.